Our Midtown Toronto dental team is dedicated to maintaining your oral health. We enjoy providing our patients with a comfortable and enjoyable dental experience. Learn more about our skilled dental team below. Dr. Ted Margel B.Sc. D.D.S. graduated from the University of Toronto's Faculty of Dentistry in 2002. After graduation, Dr. Margel spent two years working in a large dental group in Toronto, training and collaborating with oral surgeons, periodontists and orthodontists to manage a wide range of comprehensive dentistry. For 12 years, Dr. Margel proudly served the Deer Park community at Yonge and St. Clair. In January 2014, Dr. Margel joined Upper Avenue Dentistry where he continues to welcome new patients and families into his growing practice. Dr. Margel welcomes patients of all ages including children, adults and seniors with a focus in aesthetics and preventative dentistry. 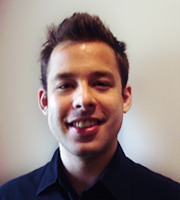 Dr. Ryan Schure is our Periodontist at Upper Avenue Dentistry specializing in gum disease treatment and implant surgery. He earned his Doctor of Dental Surgery degree from the University of Toronto. He went on to complete his Master of Science degree with advanced training in periodontology and implant surgery at the University of Toronto. His research on the relationships between cardiovascular disease and periodontal disease has been published and presented at international meetings. Dr. Schure has participated in many continuing education courses and is one of the few periodontists in Canada certified in the placement of Ceraroot® ceramic dental implants, as well as the use of Botox® for the management of temporomandibular disorders. 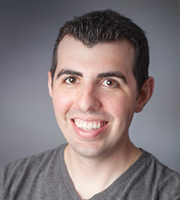 Dr. Ryan Margel, DMD, MS, FRCD(C) is our Endodontist who specializes in root canals. Originally from Toronto, he graduated with distinction from York University with a major Mathematics. 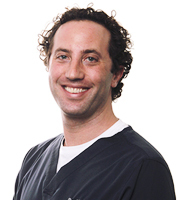 In 2009, Dr. Margel obtained his dental degree from The University of Pennsylvania. He then went on to work as a general dentist for two years prior to embarking on a two-year specialty program at Marquette University in Endodontics.